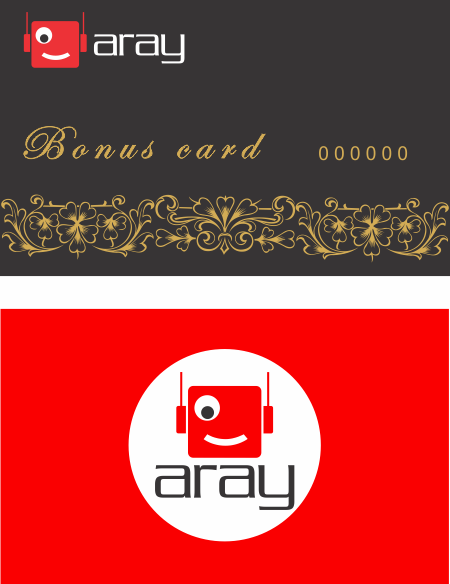 "Aray" bonus card holder accumulates discount points while makeing purchases at the companies store. By using the card You confirm the acceptance of the Bonus Card Terms and conditions. Each time while making purchase at the showroom the points accumulate in the Bonus card accounting system and it can be used during future purchases. The points gained from each purchase will be available after 15 days from the moment of the purchase. Gyumri, 63/1 Rustaveli st., phone: +374 91 19 80 90. "Aray" LLC takes no obligation and resposibility case the card is damaged,lost or stolen. The card cannot be recovered if stolen or damaged. For the consumption of the gained points at the showroom a PIN code needs to be entered which will be provided when obtaining the Bonus Card. The history of the points can be viewed at www.aray.am Bonus page.